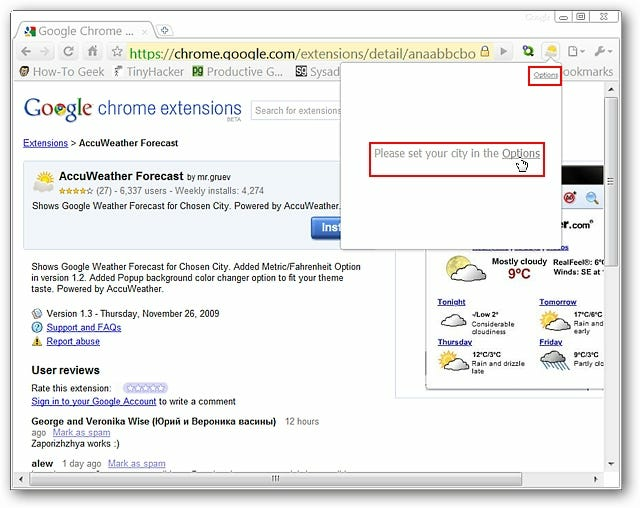 Are you looking for a quick and easy way to see your local weather forecast in Google Chrome? 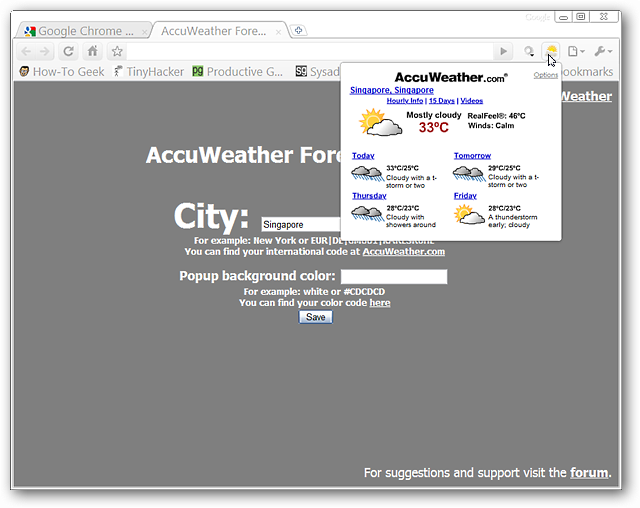 Then you will definitely want to take a good look at the AccuWeather Forecast extension. 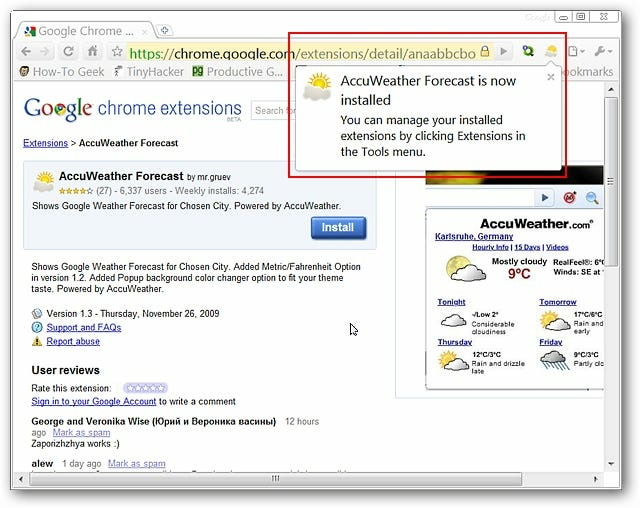 Adding the extension is simple… Once you have started the install process you will see the following confirmation message window. 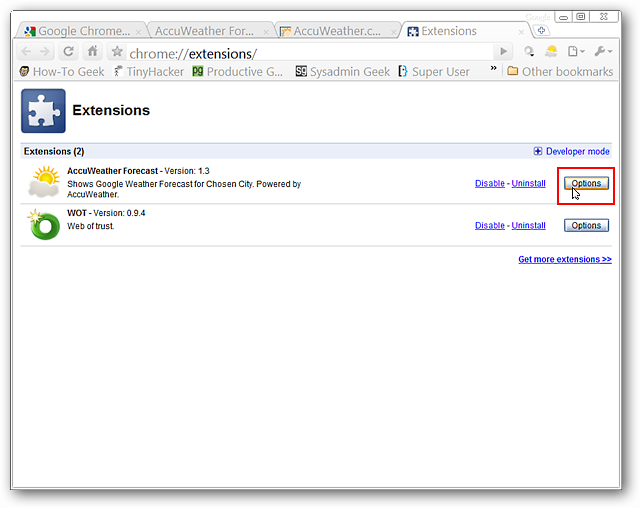 Click “Install” to finish adding the extension to Google Chrome. 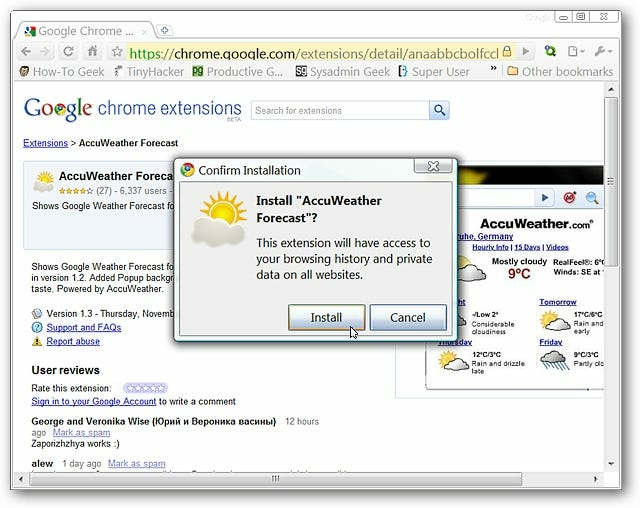 Once the installation is complete you will see a new “Toolbar Button” and the following message. The options will open in a new tab where you can add the name for the city you are wanting weather forecasts for, decide whether to use Metric measurements or not, use the available link to find the code for international locations, and set the background color for the drop-down weather window. 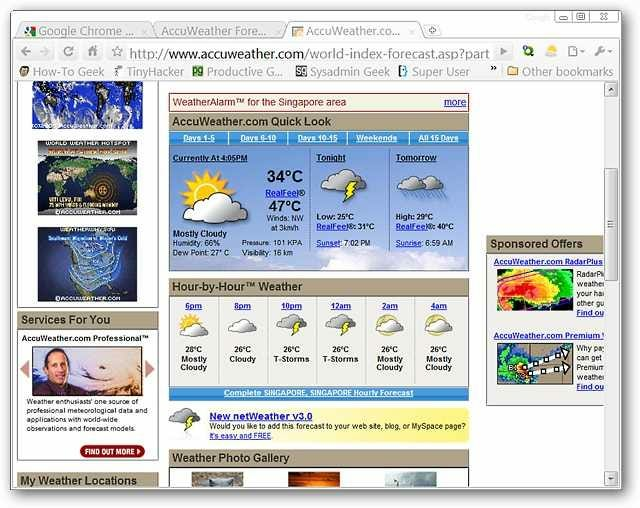 We were able to type in Singapore and get the weather forecast location we needed without having to look the code up at “accuweather.com”. 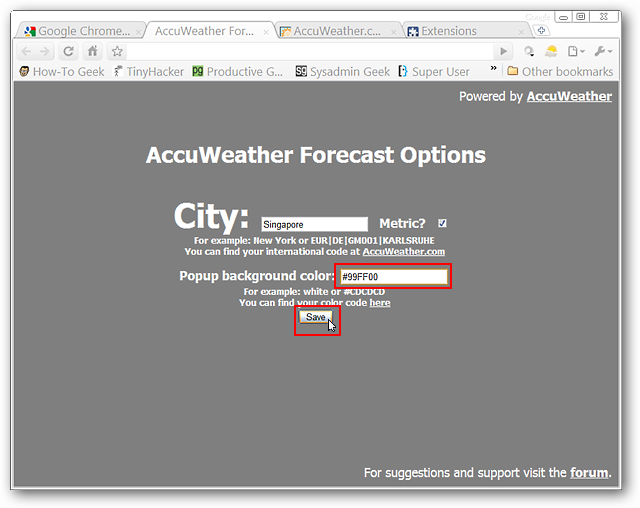 Once you have your location added in click the “Save Button” to finish up (if you do not want to make any changes to the background color for the drop-down weather window). 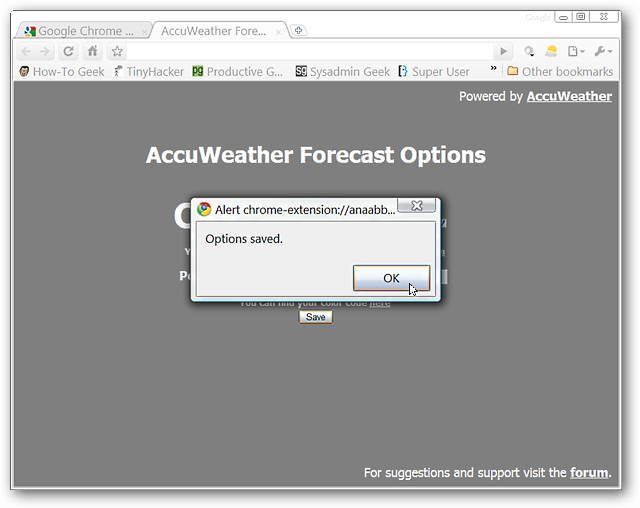 Once you have clicked “Save” you will see this confirmation message window. Click “OK” to close it. 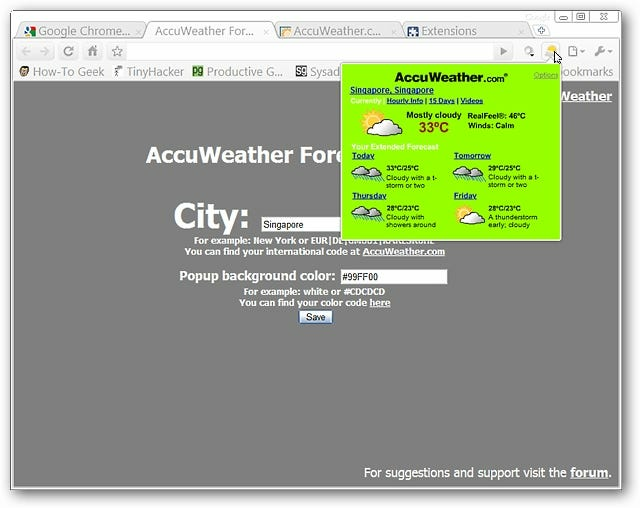 Clicking on any of the links will open up a new tab with the information that you were looking for. And the second is using the “Options Link” in the upper right corner of the drop-down weather window. 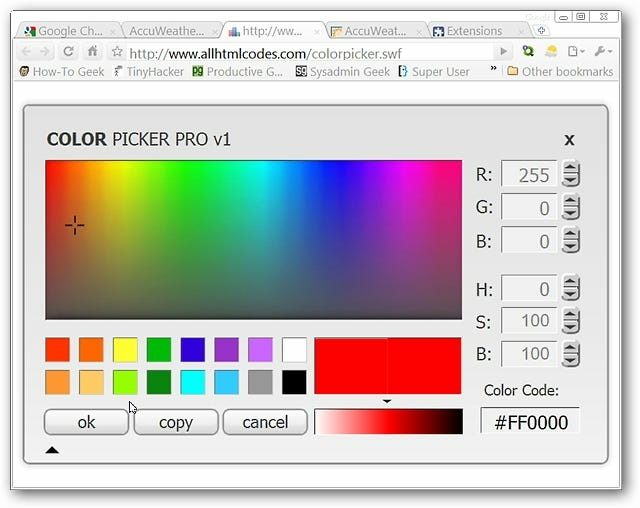 For those curious about changing the background color for the drop-down window you can do that by clicking on the link in the lower right corner of the “Text Area”. 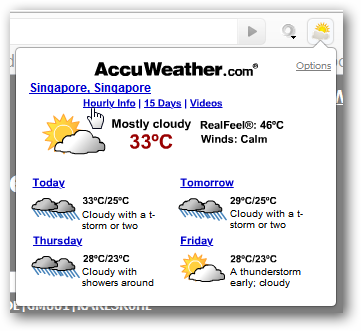 This can be really nice if you are wanting to match the drop-down window to your current browser theme. 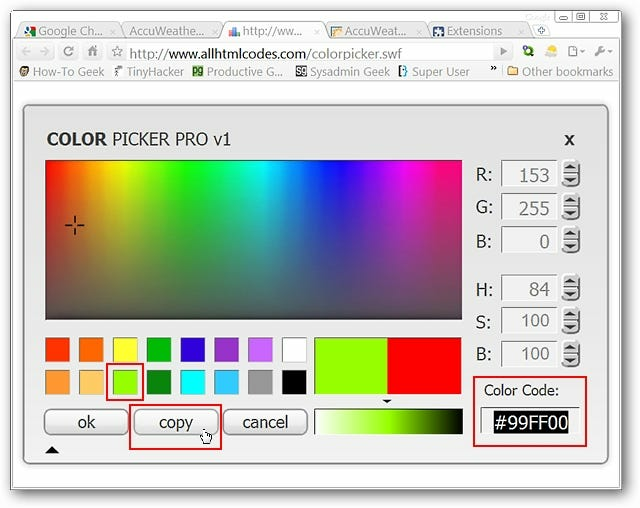 Paste the new color code into the background color text area and click “Save” to finish up. 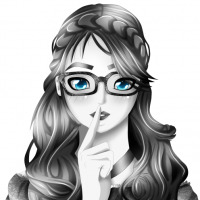 You will see the confirmation window shown above after saving your changes. 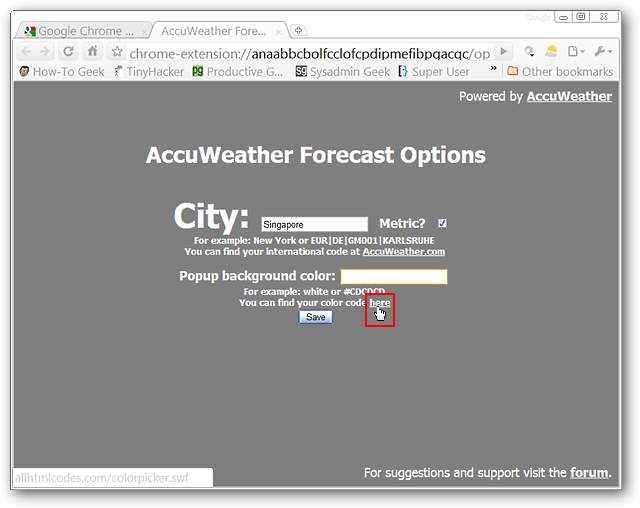 If you have been wanting a way to access weather forecasts for your location in Google Chrome, then this is an extension worth looking at.